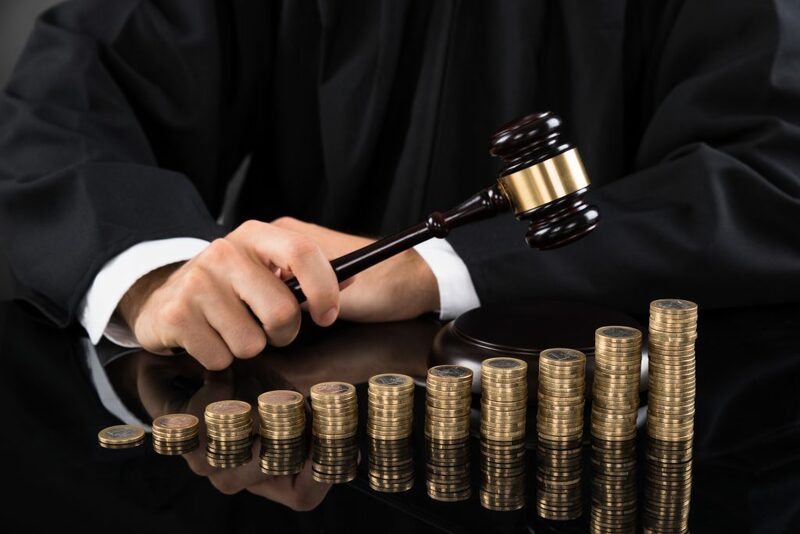 Business and consumer litigation often involves millions of dollars changing hands, years of legal wrangling and a prolonged appeals process. Profits are guaranteed to only one group — the legal teams of both the plaintiffs and defendants who spend months or years examining documents, filing legal papers, answering phones and taking depositions from the involved parties and their witnesses. At Hutchison & Stoy, PLLC, we operate under a different standard of care and respect the fiduciary duty we owe our clients. Our firm’s core mission is to help people in the Dallas and Fort Worth areas who don’t have unlimited resources for prolonged legal battles. At Hutchison & Stoy, PLLC we always fights to win the case or to negotiate a fair and acceptable settlement. Our skilled team always keeps costs down while fielding a team of skilled lawyers and investigators. Insurance companies field a team of high-priced attorneys with the sole purpose of reducing settlement claims they pay. Underwriters play a percentages game, and each case that can be settled quickly for less money or denied based on some alleged legal technicality increases company profits. Insurance companies are among the most powerful and lucrative financial organizations in the world, and their growth is attributed, in large part by seizing every opportunity for making money at the expense of policyholders. This could mean that the insurance company accepts years of premium payments for commercial or residential property damage, only to deny a claim resulting from a hail or wind storm. At Hutchison & Stoy, we fight for fair compensation on insurance claims that have been denied or lowballed based on legal technicalities, bad faith actions or or fine print details that are deceptive and unfair. With the recent hail storms in the Dallas / Fort Worth area, we are seeing an influx of hail damage claims. The most common insurance tactic in hail claims is to underpay your hail damage claim. Often insurance companies will hire an adjuster to inspect your roof. When the hail damage claims are numerous, the adjusters start moving quickly and inadequately inspecting and investigating hail claims. We’ve even seen a case where an insurance adjuster didn’t even get up on the roof to inspect the hail damage. He merely took photos from his vehicle. For more information on hail damage claims, follow our link above. Both businesses and private citizens are legally protected from poor, misleading and inadequate business practices by the Deceptive Trade and Practices provisions of the Texas Business and Commerce Code. These protections include legal redress against fraud, misleading ads, poor workmanship and products and practices that don’t provide the benefits that a reasonable person would expect. The legal team and investigators at Hutchison & Stoy, PLLC can examine your DPTA case and pursue every legal remedy that’s open to you. These protections have always been particularly generous in awarding damages to consumers, and the right legal team ensures that you receive compensation quickly. In some cases, certain whole life insurance products and business insurance policies have complex legal structures that allow unscrupulous agents to act against their policyholders’ and beneficiaries’ best interests. These difficult cases are hard to follow and even harder to prove malfeasance or breaches of the agents’ fiduciary responsibilities to their clients. If you feel that you have been victimized by a trusted professional’s or insurance agent’s actions or negligence, contact the Warriors for Justice to discuss the case and determine whether you have grounds for taking legal action. The victims who might have cause for legal actions include private policyholders, business entities and even beneficiaries who feel cheated of their expected benefits. Construction projects can generate all kinds of legal issues in addition to personal injuries. These include public, commercial, industrial, private and highway construction projects and issues like arbitration, state and federal litigation, payment disputes, use of substandard materials, changed construction conditions, design defects, insurance issues and work delays that cost more money than estimated, generate fines and penalties or cause partners and investors to back out of the projects. At Hutchison & Stoy, PLLC we often represent residential home and commercial building owners in disputes against the companies responsible for designing and/or building a defective home or commercial building. We are intimately familiar with construction law and best practices that apply to Texas construction projects. Our firm’s business and consumer litigation services include fielding expert witnesses, architecture and drafting experts and a professional network of industry-specific consultants. Many people, including consumers and experienced business professionals, sign contracts without getting their attorneys to examine them. If every contingency is not completely covered, misinterpretations can occur regarding the rights and duties of each party. Breaches of contract can be highly subjective but still valid when one of the parties involved makes financial and safety decisions based on their interpretations of these contracts. A business and consumer litigation lawyer at Hutchison & Stoy, PLLC can cut through the expensive legal red tape that these disputes generate and advocate for you or your company’s rights. Strict legal limits, or Statutes of Limitations, apply to length of time within which you must file a lawsuit in Texas to preserve your claim. So it’s critical to contact an attorney as soon as possible to discuss your case. These limits can vary as to type of case and whether federal law is involved. Courts can interpret the laws differently on a case-by-case basis. Call or contact a Fort Worth Business and Consumer litigation Lawyer that puts justice ahead of billable hours and company profits. You can reach us at (817) 820-0100 or fill out a free case evaluation online.